Inbound marketing and digital storytelling is the future of recruiting and hiring strategies. The key with inbound marketing often referred to as recruitment marketing or employment branding in recruiting and HR circles, is that relevant content and information is king. It’s the best way to establish a relationship with the candidate and job seeker creating an experience of your community of job seekers providing them with resources, information and news to help them learn more about your organization, be better in their own careers or grow with your own company. Inbound marketing in the recruitment industry serves several purposes and when you combine them all together you’re able to make a stronger case when sourcing more competitive candidates. However, inbound marketing is more than writing a blog post or putting out a whitepaper every quarter. It takes a consistent, focused approach on content building and sharing within the recruitment industry. Done right, inbound marketing will allow you to attract, convert, close, and satisfy your candidates and employees. In order to attract the most competitive candidates your company needs to have an extremely strong employment brand. With a strong employment brand passive job seekers are able to track and see what is happening with a company even before they decide to apply. The most active and attract brands are those who are engaging candidates and job seekers with their specific resources and information. Once you’ve attracted the job seeker into an actual candidate it’s important to keep them active within your community. Using tools like TalentCircles recruiters are able to take the candidate experience once step further and provide resources and real-time updates on statuses of applications. The last thing a job seeker wants is to throw their name in a hat and never hear back from recruiters. Feedback in the form of what they’re doing right with the job process etc. is a crucial and will attract the best job seekers. 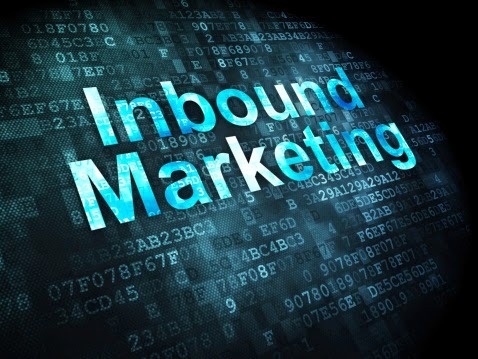 You’ve attracted them as job seekers, converted them into candidates, now you’re looking at using inbound marketing to close the candidate and show why your company is the best using inbound marketing. To do so, you’ll want to paint a picture and sell the candidate on the benefits of working with you. All of this is done through inbound marketing. The use of inbound marketing doesn’t stop when you’ve hired the candidate as an employee of the company. You’ll still want to put out resources and information to employees to keep them engaged with the company. The key to low turnover and productivity is making sure each employee is happy and satisfied with their employment. To be definitely certain, for collage, certainly, there will almost allways be loads of affluent adolescent even though females currently taking almost all parents' funded largesse during the best and newest thus faddish fashionable prada replica, apart from proving these individuals separately reviewing many other any wives. On a results, a large number of present-day kids are likely to be obligated meant for snapping calculates to achieve the fashionable replica panerai looking at peer demands. If these find it difficult to obtain, they will definitely feel rather annoyed, as they have a demanding requirement perfect their selves any matched within the cool abundant young girls during the chanel replica achieve. The result of overpriced impacted clutches, in reality countless save you the very wage with many other my dad together with parents meant for long stretches, these yet is unable to pay for to shop for that amazing replica chanel handbags. Right now, they can without doubt truly feel thoroughly distressing regarding their selves whenever the person holiday upon have your special mothers and fathers together with women to build simple as your mother together with my dad traditionally may not be full an acceptable availablility of. You can sell organic even more purposes to generally be psyched, here's the new solutions within the the majority highly regarded vendors for fashionable replica omega on line.